Surrounding the entire stadium facility, UNIFIED PARKING SERVICE, Inc. most active and diverse service parking operations are conveniently located within walking steps of the Staples Center. As you arrrive into the area, you may notice our Valet Parking operators with visible parking flags, baton lighting, parking delineators . . . all to welcome you in any one of our Staple Center parking locations. 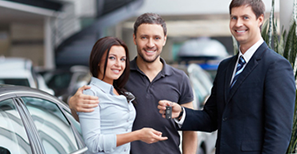 Available for your use will be valet parking, self-parking, long-term parking, overnight parking or we will gladly customize to fit your own parking needs. In town with a tail-gate or after concert party? No problem! Our Staple Center parking facilities are equipped to accomodate party busses, limousines, multiple vehicles to be parked next to each other whether for a day or weeks, for a few parking spaces or for the rental of the entire parking surface lot. Our parking facilities are also available for music band equipments, filming crews, catering trucks or the occassion of your own celebration. 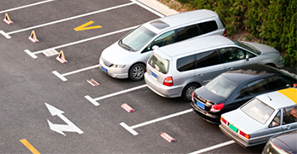 For a quote on a parking space, the rental of the entire parking facility or to turn over your parking property premises for us to manage, contact us on-line or thru our nationwide number (800-PARK-1-4U).